New Year’s Eve is a time for countdowns, partying, resolutions or perhaps an excuse to escape? For those looking for something a little bit quirky, The Old Chapel near Tintagel is a chilled, funky, relaxed, cool and laid back place sleeping eight. This spacious property has a big dining table, comfy sofas, table football and mini snooker table and even a double bunk bed. It is the perfect holiday venue for one family, two families or a group of friends and is close to the beach, fabulous walks and loads of other attractions with a pub right next door. A week from Tuesday 27 December 2011 starts at £1099.00 (alternative dates available). Those in search of luxury can't get much better at Tideway. Located overlooking the harbour and the whole bay in St Mawes, this superb luxury house has stunning views from the dramatic deck area and from every room in the house. It is a very special place to stay for either a special occasion, with a group of friends or a wonderful family holiday. Sleeps up to 9, has a hot tub and provides off road parking for four cars. A week from Tuesday 27 December 2011 is £2999.00 (alternative dates available). Pirate Cottage is located on a quiet terrace in the centre of St Mawes and provides excellent family accommodation for up to 8 people (6 in the house and 2 in the annexe). There are plenty of areas for everyone to chill out, WiFi is available throughout and the kitchen has Neff appliances. 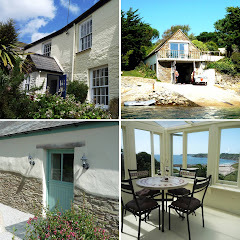 The house has lovely sea views over St Mawes harbour and the bay. A week from Tuesday 27 December is £1149.00 (alternative dates available). 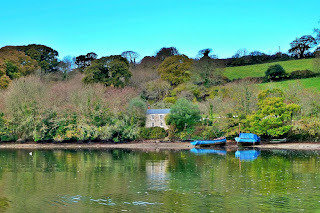 Carvinack Cottage is a truly special place, an oasis surrounded by organic farmland yet only a few minutes drive from St Mawes, Portscatho and the King Harry Ferry. A luxury, dog friendly holiday cottage in Cornwall, it sleeps four in a double and twin bedroom and the lounge has an impressive stone fireplace. A week from Tuesday 27 December 2011 is £912.17 (was £939.00 and alternative dates are available). Perched on a ridge high above Porthbeor beach, The Engine House benefits from spectacular sea views and is surrounded by spectacular National Trust coastline. A haven for walkers or a romantic break, this luxury property is only a few steps from the coast path. Regrettably no children under the age of 3. A week from Tuesday 27 December 2011 is £939.00 (alternative dates available). Located within a short distance of St Austell, the Eden Project, the Lost Gardens of Heligan & some beautiful south coast beaches, Glenleigh Cottage is a superb stone barn conversion that could not be better placed for exploring this part of Cornwall. With the advantage of having a well stocked coarse fishing lake on site and 8 acres of farmland & grounds to explore, this is a great place to stay and relax. Disabled access available throughout the barn. A week from Wednesday 28 Dec 2011 is £699.00 (alternative dates available). A few paces from the harbour in St Mawes, Barolo Apartment is a spacious, beautifully furnished and well equipped bolthole for two. Steeped in history, Barolo forms part of the impressive and expertly refurbished Wentworth House, itself an historic building on the former site of the Lady Chapel where locals worshipped prior to Henry VIII’s establishment of the Church of England. There is a double bedroom and a further full sized sofa bed for guests in the open plan living space. A week from Saturday 31 December is £298.14. Pencreek Cottage is nestled amongst the beautiful Kea plum orchards on the Tregothnan Estate. Unspoilt, this romantic cottage for two offers a luxurious wild escape with serene water views. Enjoy the roll-top bath, wood burning stove and well-equipped kitchen with espresso machine. Dogs are welcome. A week from Tuesday 27 December 2011 is £699.00 (alternative dates available). 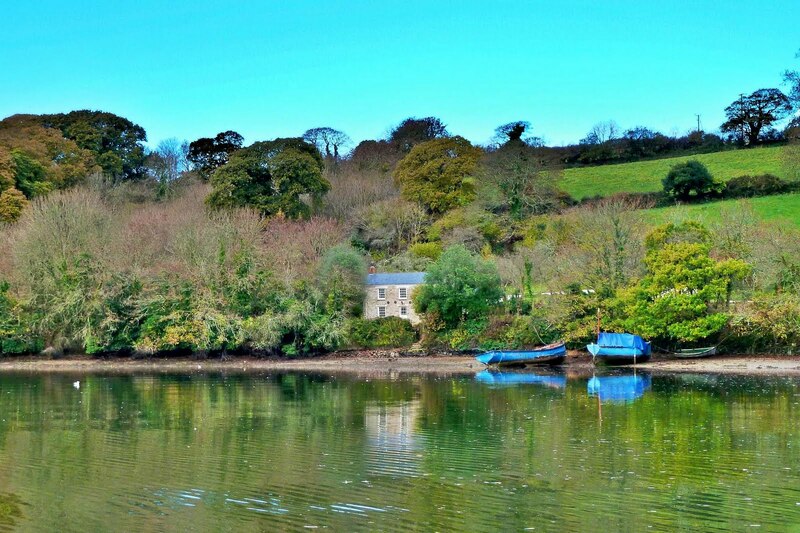 An outstanding holiday property in St Mawes, The Boathouse is located right on the water’s edge overlooking the beautiful Percuil River. A converted sail loft, the roof is adorned with wooden beams in the living area and is a superb place to watch wildlife and the world go by. There is a ship’s bunk style double bedroom, as well as a sofa bed and a further fold out bed, sleeping 5 in total. A week from Tuesday 27 December 2011 is £699.00 (alternative dates available).